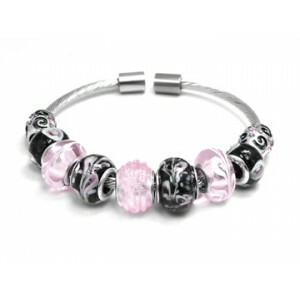 Look fashionably great with this antique style bangle bracelet! 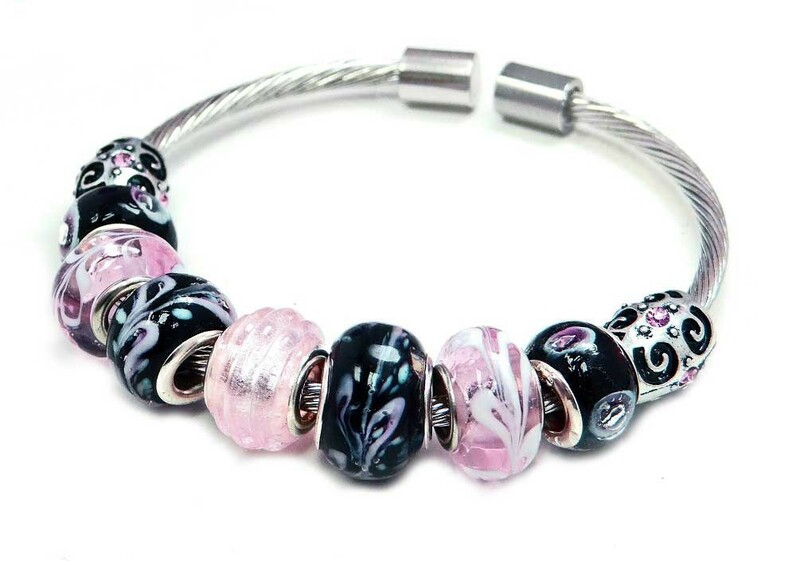 This antique silver flexible bangle features three pink lampwork glass beads to support Breast Cancer Awareness and four black lampwork glass beads with pink swirl pattern for an enhanced stylish elegant look. 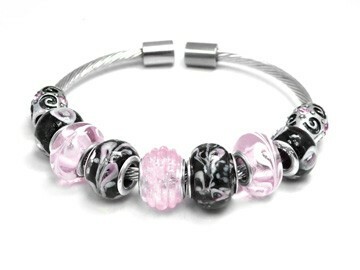 To top it all off, it is amazingly adjustable and fits 6.5" to 9.0" wrists! It's simply the perfect item for anyone!